The eLearning industry is all about making use of advanced technologies to enhance the learning experience. In the end, the basic aim is to make learning an easy and enjoyable task. Augmented Reality and Virtual Reality are at the forefront of digital culture today, and arguably learning is their most important application. AR & VR are great vehicles for quickly developing skills and expanding knowledge. Studies show that only 10% of online training is effective. Disappointing, right? Don’t get too worked up because that can be changed by developing awesome AR/VR eLearning resources. Augmented Reality and Virtual Reality are the perfect partner technologies for eLearning. Yet it isn’t as simple as a plug-and-play eLearning philosophy. What are the things to avoid when integrating AR & VR into your eLearning course design? Augmented and Virtual Reality technologies allow you to take online training immersion to a whole new level. Employees can walk into the workplace and apply what they’ve learned without ever taking a step. Thus, eliminating real-world risks and facilitating mistake-driven learning opportunities. The gaming industry is already embracing AR/VR technologies to bring players into the action.What does this cutting-edge tech offer online learners in the private and corporate eLearning sectors? Today, eLearning professionals are using it to enhance the realism of eLearning simulations and serious games, but who knows what tomorrow may bring. 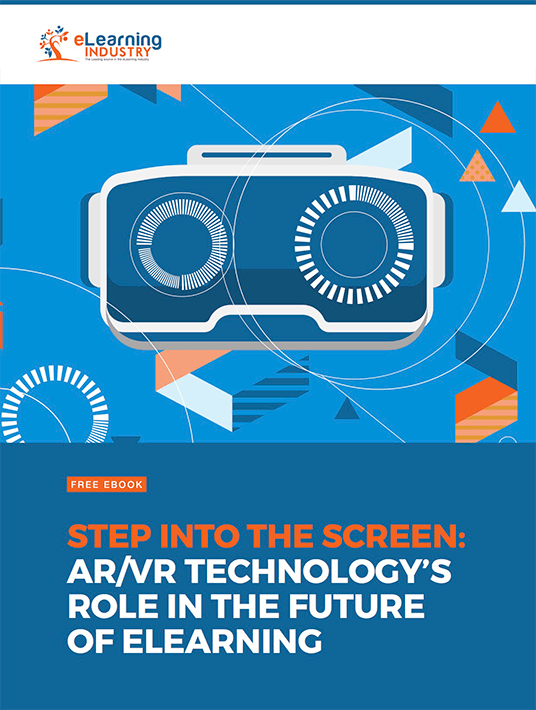 This Free eBook can help you familiarize yourself with all you need to know about Artificial and Virtual Reality and understand their impact on the future of eLearning. Find out about the benefits of using Augmented and Virtual Reality technologies in eLearning, how to integrate AR/VR into eLearning courses and some of the best practices to create online training courses with AR technology. You’ll also get ideas of AR/VR activities for Microlearning to add in your online training library, as well as effective tips to develop AR/VR eLearning resources. The possibilities that microlearning offers in combination with the ground-breaking technology of AR and VR are simply staggering. We might be the last generation to be trained in what will soon be the "old ways". AR/VR activities for microlearning allow us to remember information more rapidly and experience the knowledge firsthand.